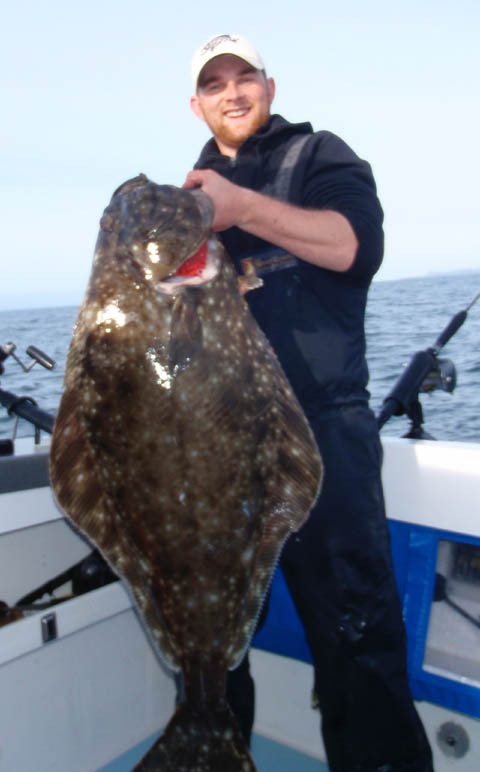 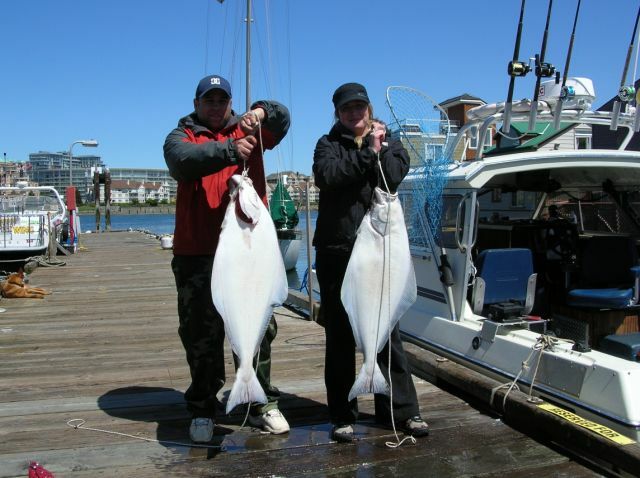 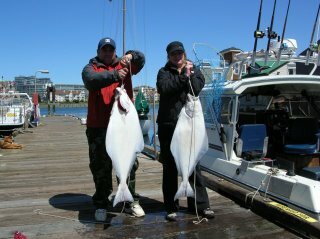 Roy from Blue Wolf Fishing reports a week ago he took guys from Alberta out for two days of Victoria halibut fishing. Day 1 saw them get a 25 and a 62, day 2 saw them with a 29, 33, and topped it off with a 105 pounder. 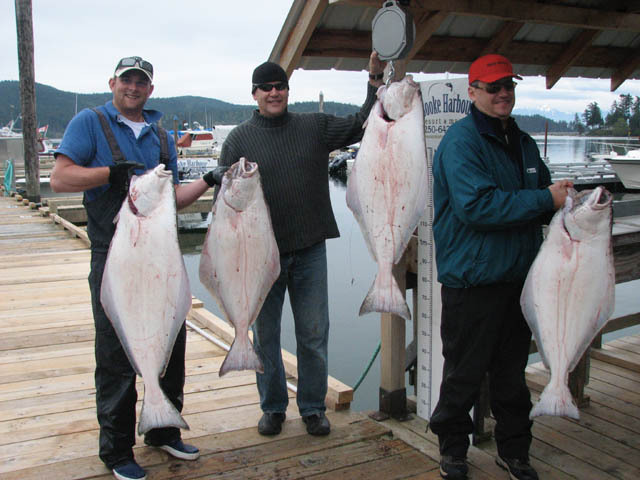 Last weekend he brought out some people from Fort MacMurray and brought them in their limit of chicken-sized halibut. 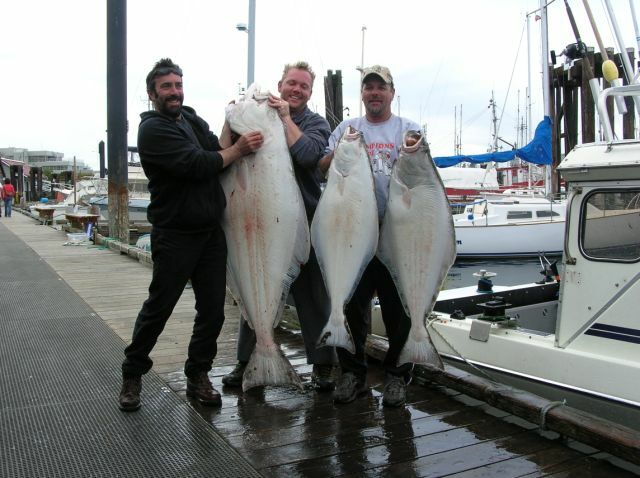 Ryan from Fresh Fishin' went out salmon fishing Saturday, catching 3 springs in 2 hours. 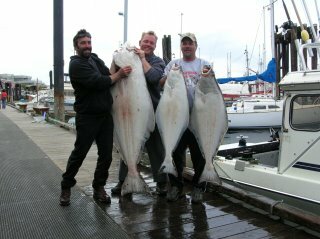 "We caught a 23 pounder about 30 seconds after putting the gear down. 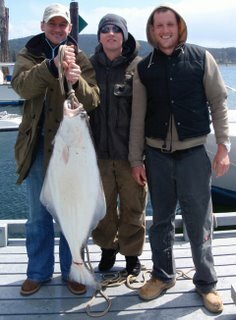 We also caught a 20 pounder that we released and kept a 14 pound hatchery. Last weekend we got 4 halibut in 45 minutes between 30 and 40 pounds. 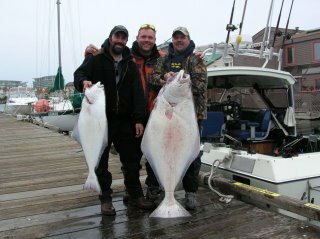 Halibut currents will be good again starting the 17th until the 21st".